NERD NIGHT CAMBODIA - Kampot Writers Festival 2017 "Courage" Kampot Writers Festival 2017 "Courage"
Since 2011, Nerd Night has provided a place for the Phnom Penh community to share their secret (or not so secret) nerdy passions. 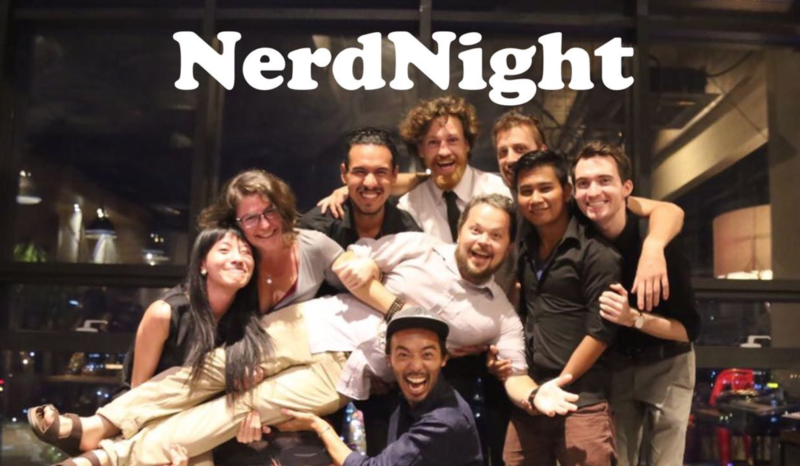 Held bi-monthly at rotating venues around the city, Nerd Night has hosted speakers talking about everything from land rights to animal rights and samurais vs. gunslingers to goth subculture. The rules are simple: speakers talk about whatever they like, provided they follow the Pecha Kucha format of 20 slides with a timing of 20 seconds per slide. 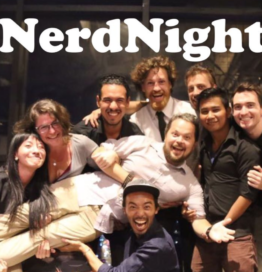 Nerd Night is honored to be a part of the Kampot Writers and Readers Festival for the second year running. Saturday’s event will feature a line-up of speakers focused on this year’s theme of “courage”.